Grandmaster Joe Gallagher serves up a plethora of ideas to help you root out the enemy king whenever you have the chance. He shows how to mate an exposed king, how to and what to sacrifice, and how to spot key weaknesses. Gallagher also reveals when it is wiser to opt for a positional onslaught, with guidance on the queenside minority attack and other less violent attacking methods. 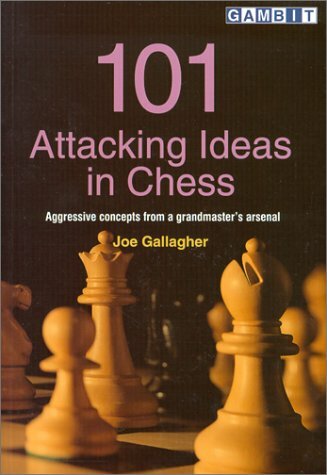 Joe Gallagher is an English grandmaster who has lived in Switzerland for many years. He is a regular member of the Swiss national team. He has established a reputation as a top-class chess writer, in particular for his work on aggressive openings such as the King's Gambit, Sicilian and King's Indian Defence.